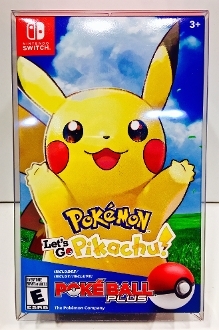 1 custom made box protector that fits both the Pokemon Let's Go Pikachu! and the Pokemon Let's Go Eevee Nintendo Switch Special Editions. This fits the NTSC version sold in the US. We are not sure about the ones sold in other countries so please contact us with your dimensions and we can check our size list to see if this or something else will work.